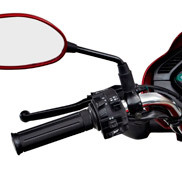 Clutch - Hero MotoCorp Ltd. 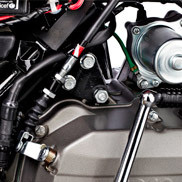 Clutch adjustment may be required if the motorcycle stalls when shifting in to gear or tends to creep or if the clutch slips causing acceleration to lag behind engine speed. Normal clutch lever free play is 10- 20 mm at the lever. Turn the adjusting nut to obtain the specified free play. Start the engine, press the clutch lever and shift into gear. Make sure the engine does not stall and the motorcycle does not creep. Gradually release the clutch lever and open the throttle. The motorcycle should start smoothly and accelerate. If proper adjustment cannot be obtained or the clutch does not work properly, visit your Authorised Hero MotoCorp Workshop. Check for clutch cable model. Use genuine clutch cables. Check for clutch cable routing.